Ok, so, it's been months of tests, GPs feeling your tummy, specialists feeling your tummy, specialists putting cameras where cameras don't belong, to be told 'It's just IBS'. And you feel... what exactly? So, it's just IBS. Just. 2 in 10 people in the UK have IBS. Now you're just another. It's the 'just' that kind of hurts here. Doctors act like you should be super relieved, I mean IBS won't kill you. And you should be relieved!! It could be way worse!! But does that mean I can't still be upset that my bowels don't work properly? That I deal with horrendous stomach cramps almost every day, that my bowel habits are completely unpredictable, that I have to spend hours and hours on the toilet daily? I know, it really could be worse. But that doesn't change the fact that this has really affected me, and so many others living with IBS in the UK. There's no known 'cure' exactly for IBS, and everyone has their own ways of relieving the symptoms. I personally decided to try peppermint tablets after reading recommendations online, and hello honey this made things a million times worse. The only advice my doctor gave me was to learn to manage the pain and go on with my daily life. But the thing with IBS is that it comes out of nowhere, it creeps up on you when you least want it to. It reacts to anxiety and stress, worrying about a big event? Here are all of your IBS symptoms to go along with that stress!! Good luck!! I had personally been seeking help for anxiety since my teens, and my recent IBS diagnosis has flared up my mental health tenfold. I became afraid of being anywhere that was not somewhere where I was familiar with the route to the nearest bathroom that I could access at a moment's notice. This made any public outing feel distressing, particularly those including being in cars for any length of time, I became terrified of being stuck in traffic for fear that I would begin having an IBS emergency and have nowhere to run to. Nausea is also a common symptom with IBS which meant any sort of journey made me feel sick, which made my anxiety hit the roof, so I stopped wanting to go anywhere at all. But, y'know, it's just IBS. It's been six months now since I first started experiencing serious symptoms of IBS and three since my formal diagnosis. For the first time in six months I am not having panic attacks about going on public transport, I am learning to use medication to manage my symptoms, and I am continually tracking my diet for ways to improve the pain. I am almost starting to feel like myself again, but like a *new* self - one who just has to regularly deal with this stuff. 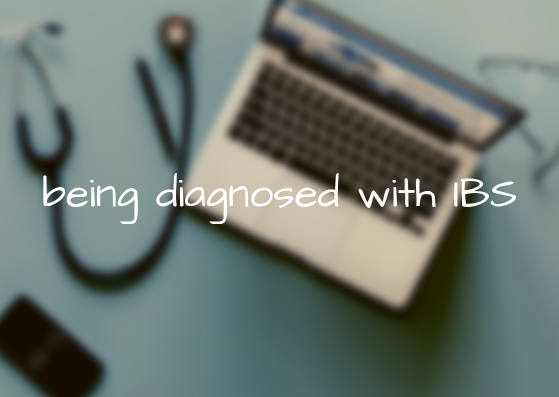 This post is not to ask for sympathy or try to say that IBS is any worse than any other disorders. Because it's true, many people DO have it worse!! I do feel lucky that my diagnosis is not serious, but that does not change what I'm going through at the minute. I failed all my 2018 resolutions - but I don't care!! Hey everyone still reading this. Friends, followers, nosey parkers. Ok. This one I *might* have succeeded in, in a way, but not in the way I intended. The main goal was to stop eating and drinking so much crap, and it's now September and for lunch I had two Mars Bars. Soooooo probably not? But in a way, I am taking care of myself. My previous anxiety strategies were to IGNORE THE FEELINGS AND THEY WILL GO AWAY. Honey this ain't truuuuuuuue!!! This year I made a really big step and started seeing a counsellor. Albeit, they are telephone and online appointments which can't hold a candle to some face-to-face talking but they are helping incredibly. 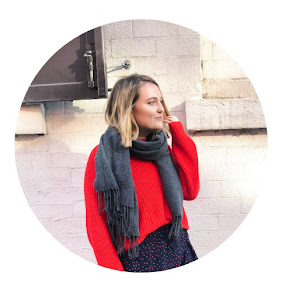 I never wanted to go into counselling again after having a poor experience with CAMHS as a teen, but this time my GP picked up on an anxiety attack when I came in to discuss stomach pains. Since then I've been majorly taking care of my mental health, getting enough sleep and drinking a lot less alcohol. I still eat tonnes of chocolate and sweeties and skip meals but hey, we gotta start somewhere. This one is a big fat joke. I've read a grand total of 2 books in the last nine months. Someone slap me on the wrist right here right now. I own so many books too! And they're all so interesting! But I just want to scroll social media all the time or be asleep!! Yeah, nope. But I did finish the year with a 68. 2 marks off my precious first. It stings a bit because I know I tried to put my all into it this year. However in May I received my first ever 2:2 grade and honestly thought of dropping out altogether. A 2:2?! How could I cope?! It seems dramatic now but this was a piece of work I'd put my ALL into - blood, sweat, tears. I felt so down reading the comments about how I'd produced a good piece of work but completely missed the point of the assignment which had apparently been made 'explicitly' clear (not to me CLEARLY). I missed several seminars due to my looming anxiety and feeling too down to face my peers so I must have missed something and felt too nervy to speak to any of my lecturers to admit what was going on. In hindsight, I now know how loving the EngLang department is at my uni and I hope that if I feel like this next year I'll have the balls to speak to my lecturers to catch up on what I've missed. But hey - 68's still pretty damn good (will still cry if I don't get 70 next year). Yeah, mmm, no. Not really. I'm putting myself out here right now, writing this post sharing way too many private details about my life, which is exactly what I wanted. However up until this point it's been a hard year for my self esteem. Illness really knocked me down this year and I've found it hard to get back on my feet, let alone then SHARE it all on here or apply to stuff I didn't have the confidence to follow through with. Maybe this can improve in the last 3 months of the year. I suppose the take away from this blog post is maybe that time is arbitrary, the idea of '2018' means nothing and I am not going to feel like a failure thanks to some little goals I wrote down. I have had a hell of a year and I am actually just happy I'm still here smiling.